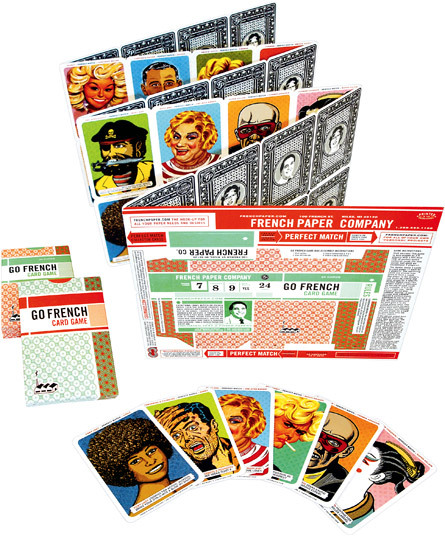 The go French cards were a promotional and advertising campaign for French Paper Co. A different set of collectable game cards were inserted into each issue of HOW and PRINT magazines for a two year advertising campaign. 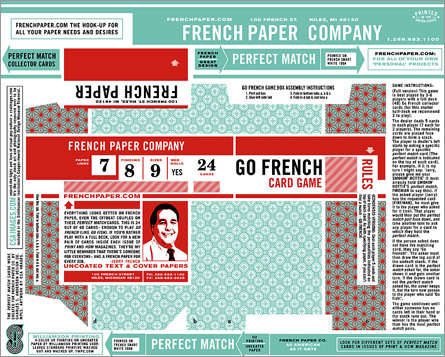 The entire set of fifty-two cards were also printed as a large z-fold promotion that included a punch-out card box for easy assembly. 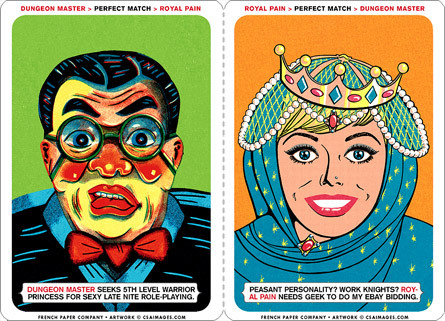 Go French is a card game like Go Fish, but asks you to find the "Perfect Match" for love-lorn characters like "Lonely Ranger" and "Royal Pain." 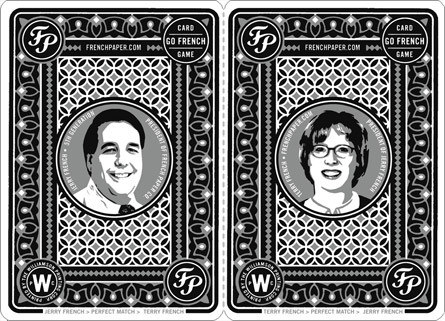 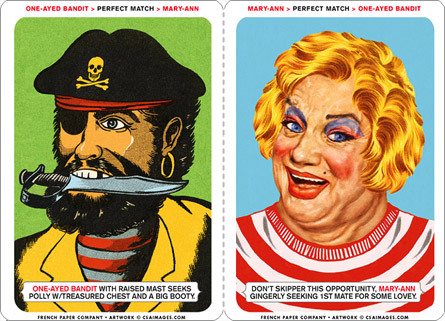 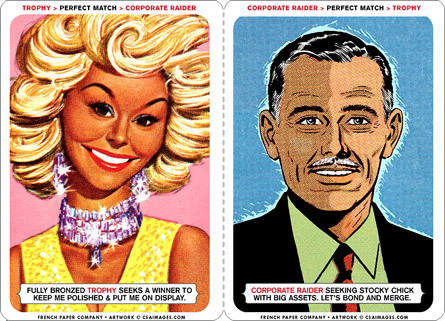 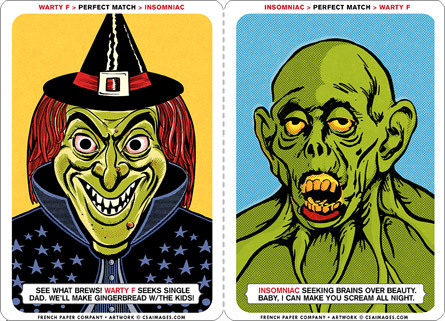 The back of the cards features French Paper's own perfect match, Jerry and Terry French.